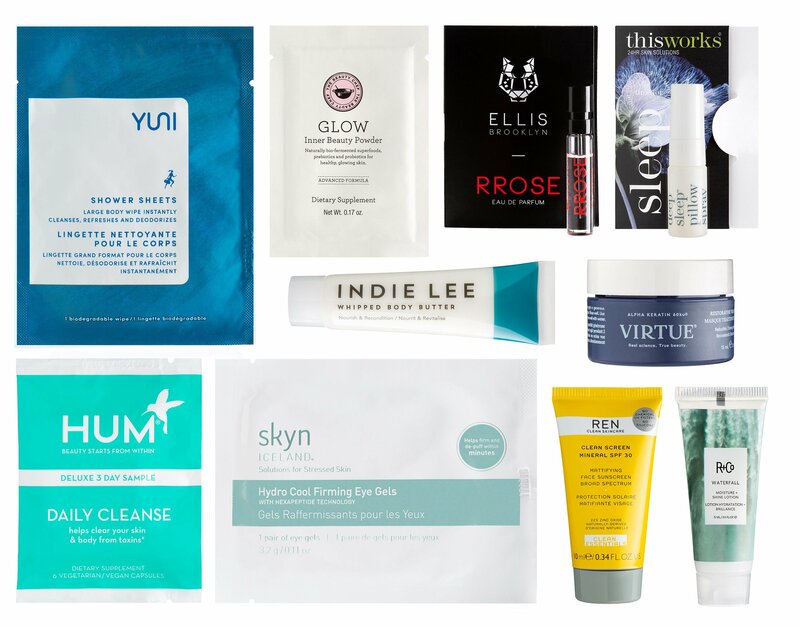 Estee Lauder Companies Beauty Box 2019 is out for UK! Plus, New Offers at Nordstrom, Bloomingdale’s, NET-A-PORTER and Skinstore! Look your best when you say ‘I do’ with the Little Box. Big Day. Beauty Box, your go-to collection of wedding day beauty essentials and exclusive offers for only £28 (worth over £95). Available from Tuesday 12th March, this limited-edition set, presented in a delicate rose-gold leafed box, is the ultimate gift for you and your bridesmaids featuring Beautiful Belle Eau de Parfum Spray, our all-new romantic, carefree and irreverent scent. Ensure you’re prepped and primed for the big day with iconic products from some of the world’s leading beauty brands such as Clinique, M·A·C, Bobbi Brown, Darphin, Smashbox and GLAMGLOW. I just made a small purchase at NORDSTROM! The 3 free sample selection is so awesome! It’s better than some beauty box sub! Their site and service are superb, I always get what I selected! Bloomingdales (NEW) Receive an 8-piece gift with any $100 men’s fragrance or skincare purchase. The Art of Shaving Sandalwood Essential Oil Shaving Cream, 1 oz. Lab Series Skincare For Men Multi Action Face Wash, 1 oz. John Varvatos Artisan Blue, 0.50 oz. Polo Blue Eau de Toilette, 0.50 oz. Turbo Wash ™ Energizing Cleanse, 0.50 oz. Malin+Goetz Revitalizing Eye Gel, 0.17 oz. American Crew Acumen ACUMEN™ In-Shower Face Wash, 1.6 oz. (1d) Take $20 Off Every $100 You Spend in Space.NK.Apothecary! (1d) Receive a 3-piece mystery gift with any $75 beauty purchase.